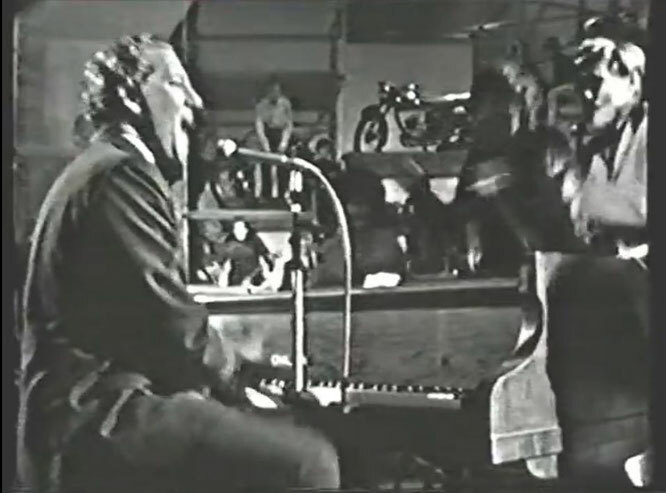 Jerry Lee Lewis performs "High School Confidential"live on TV. "High School Confidential" is a song written by Ron Hargrave and Jerry Lee Lewis (and copyrighted in both their names on January 28, 1958) as the title song for the movie of the same name directed by Jack Arnold. Jerry Lee Lewis recorded the song at the Sun Studio in February 14, then went to California, where the director set him, his bass player Jay W. Brown, his road drummer Russ Smith, and their instruments on the top of a flatbed truck and had Jerry Lee lip-synch the song to a crowd of fake high school kids.During this session Jerry Lee recorded at least 14 takes of "High School Confidential" (no other songs were recorded), but at that time not a single take from this session was released.